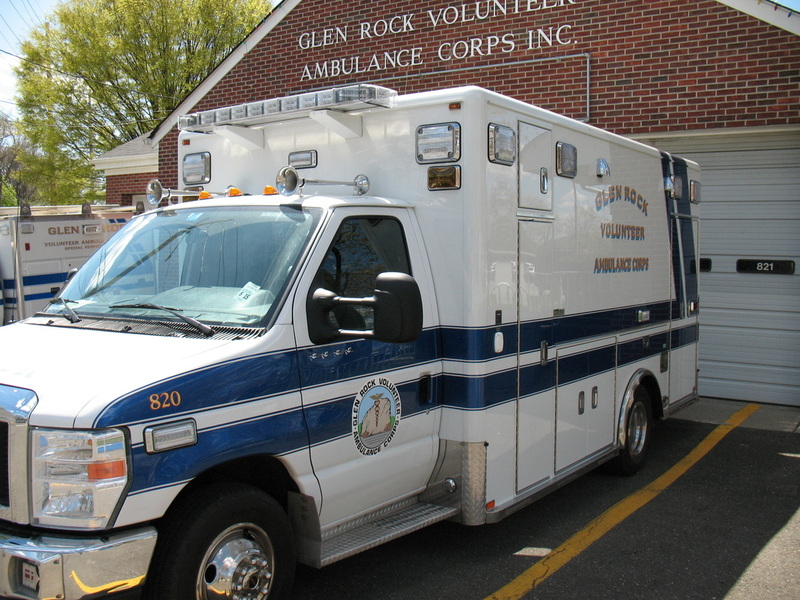 The Glen Rock Volunteer Ambulance Corps is equipped with two ambulances (820 and 821) and a first responder truck (822) to respond to emergency calls. Ambulance 820 is the newest addition to the fleet. Acquired in 2010 to replace an aging rig, this Horton modular Ambulance boasts significantly improved safety systems such as air bags and cushioned head protectors installed for impact protection. The surfaces of the new rig include stainless steel grab rails, stain resistant flooring and countertops treated with anti-microbial coatings that fight bacteria. The air conditioning system is equipped with HEPA filters and UV lamps, which treat the circulated air and remove harmful bacteria. Privacy one-way rear and side windows ensure patient and treatment privacy. The control panels are sealed to prevent bacteria from penetrating the switches. 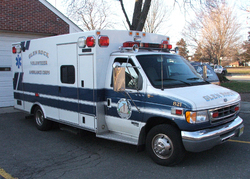 Purchased in 1999, Ambulance 829 is a Braun modular-type vehicle that has been in use by the GRVAC for more than a decade. Like ambulance 820, it carries all the necessary equipment and medical supplies to render first aid treatment for medical, trauma and motor vehicle accident situations. Special Operations 822, a utility truck, was purchased to replace the GRVAC's old First Responder Vehicle. A multipurpose truck, it is used as a First Responder vehicle and serves as a Command and Control Vehicle during fires and large emergency incidents. GRVAC owns a 20 foot by 20 foot Zumro inflatable tent so that fireman could rest, receive oxygen, have their vital signs monitored, and generally “rehabilitate” before they go back into a fire. Having a sheltered area to administer this treatment is especially important in inclement weather. The Zumro meets many criteria. 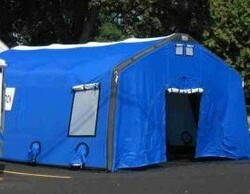 It is extremely weatherproof, sufficiently large enough to serve many patients at once, and very easy to erect using the least number of first aid personnel.